Pizza delivery is synonymous with being a “bro.” While the ladies are no doubt experts in having pizza sent to their doorstep, there’s something so tribal about a gang of men at home enjoying slices of heaven like Super Supreme or Pepperoni over, preferably, a loud game of soccer blasting on the TV. If that sounds like a cool weekend activity, you’ll want to up the ante with Pizza Hut’s Pie Top 2.0, Pizza Hut’s very own line of sneakers that will satiate your inner Hypebeast tendencies and enhance your pizza experience. As per their launch video, the Pie Top 2.0 is a sequel to the original Pie Top, which came in a white colourway with red accents. 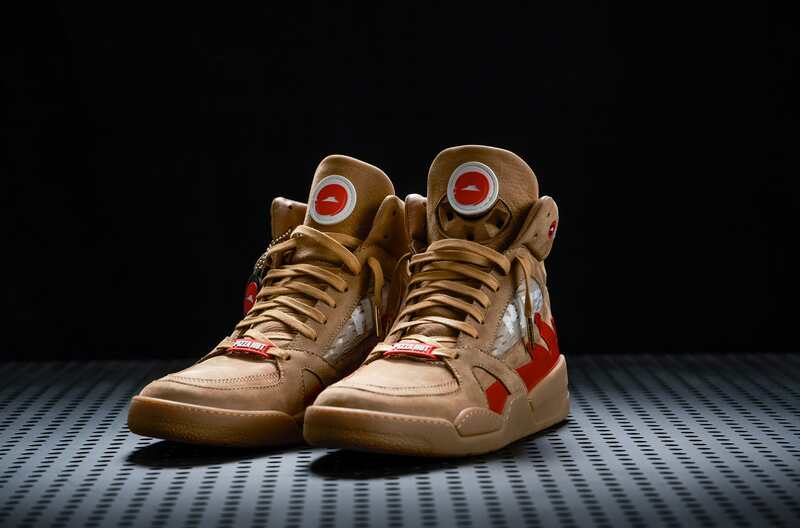 Designed by sneaker customiser Dominic Chambrone aka The Shoe Surgeon, you could actually order pizza through high-top sneakers, by pressing a tab on its tongue branded with the Pizza Hut logo. For his second edition, the designer has added on the other tongue of the Pie Top 2.0’s a button to, if connected to an app on your smartphone, pause live TV — so you can collect your pizza without missing a single precious moment of it! These sneakers are a tongue-in-cheek nod to pizza, with marinara-red splashes on either sides, and their names, which reference pizza ingredients. Even if these Nike Jordans turned Pizza Hut wearables might not be the most flattering things to wear out, they’re certainly collectible-worthy. Don’t throw tomatoes at us, but they’re slices of heaven in their own right…? !